Olesya Rostovskaya is a composer and musician well-known far outside Russia. She collaborates with leading Russian conductors and artists, and she herself is a highly praised theremin, carillon and organ player. 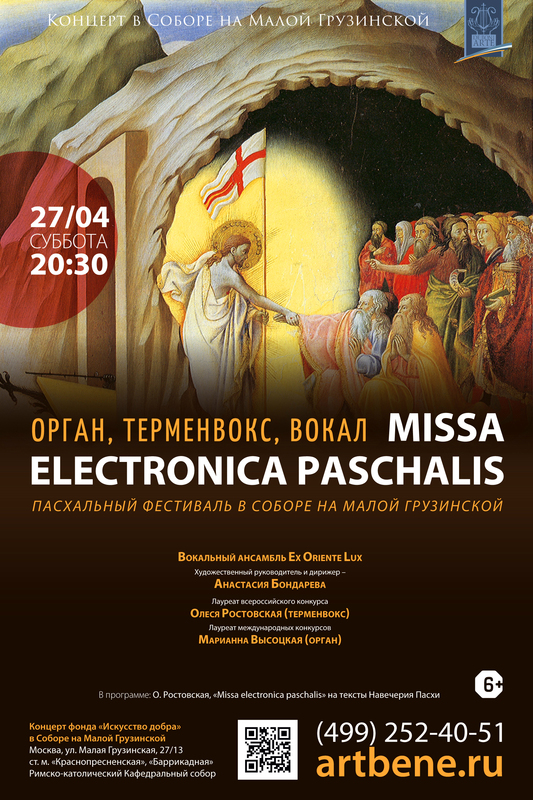 The concert features the world première of her new composition: Electronic Easter Mass based on the texts of Easter Vigil. 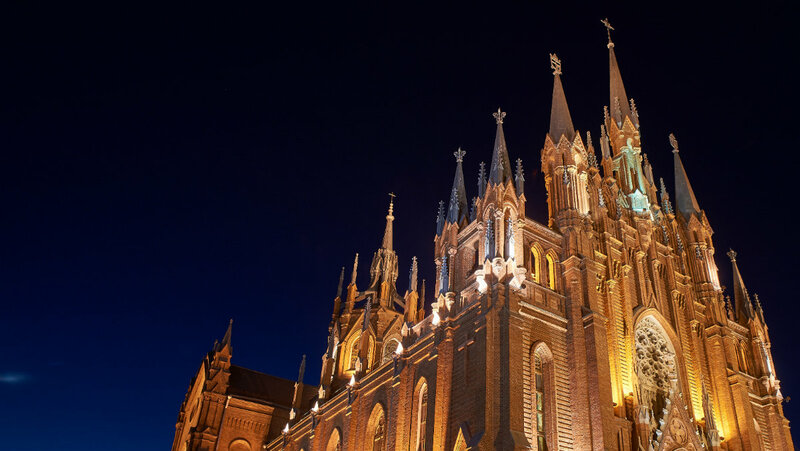 This is a mix of Gregorian chant with theremin, organ, digital effects and sounds of nature. The vocal part of the composer’s project is entrusted to the Ex Oriente Lux ensemble whose primary interest lies in Gregorian chant and contemporary sacred music.